Want tosave 10,45 kn on this order and become Loyalty program member? Acerola fruit, a plant that comes from Central and South America, is one of the highest in vitamin C content. 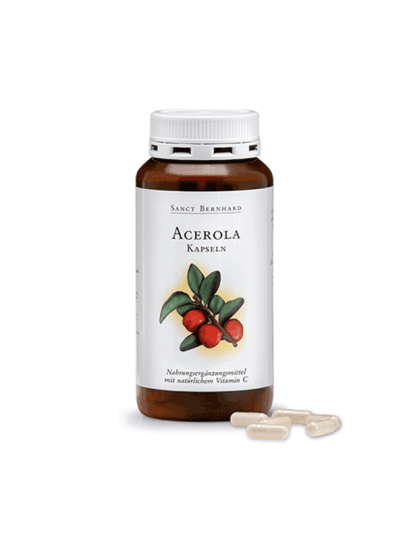 The fruit of acerola, a plant that comes from Central and South America, is one of the highest levels of vitamin C. Its concentrations of vitamin C is 20 to 30 times higher than in oranges. Drink 1 capsule daily with plenty of liquid, with food. Acerol extract (Malphigia glabra) (81%), filler maltodextrin, gelatin capsule, anti-caking agent: magnesium stearate.